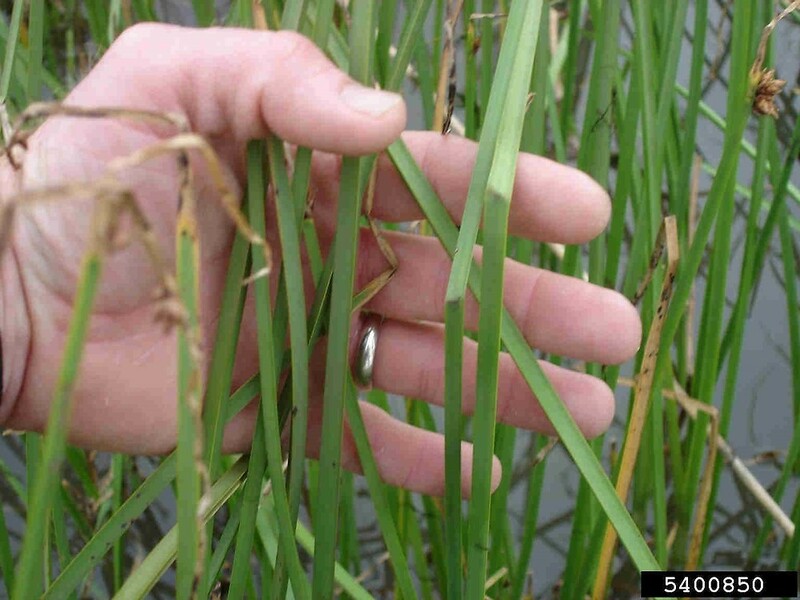 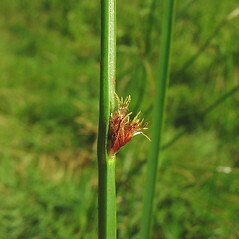 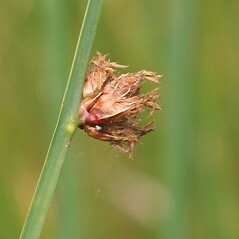 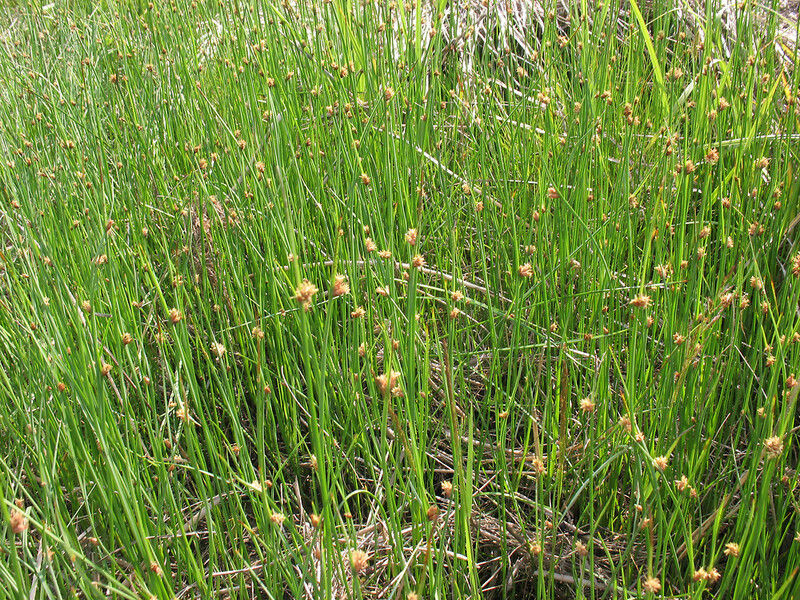 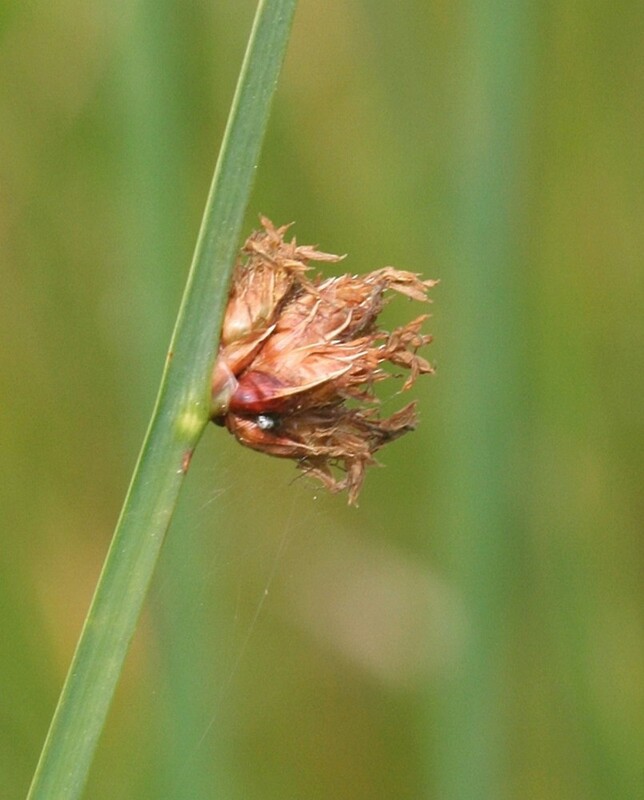 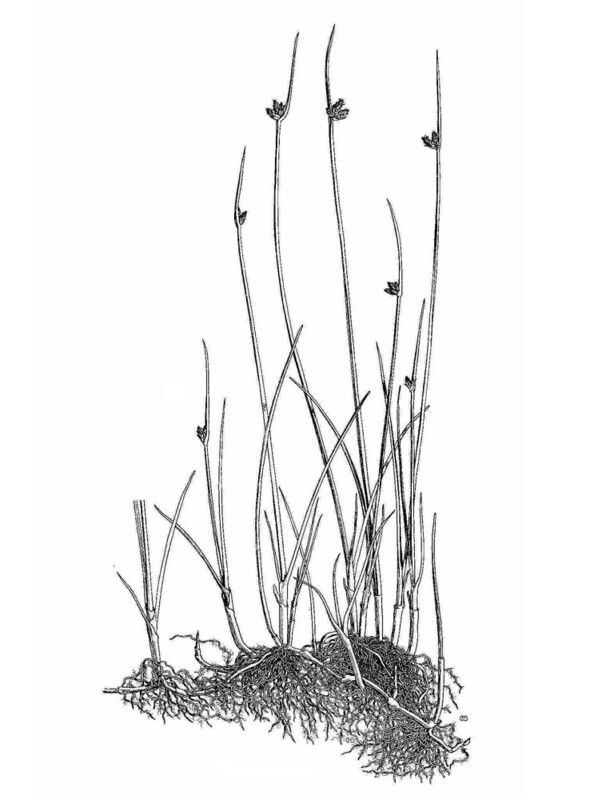 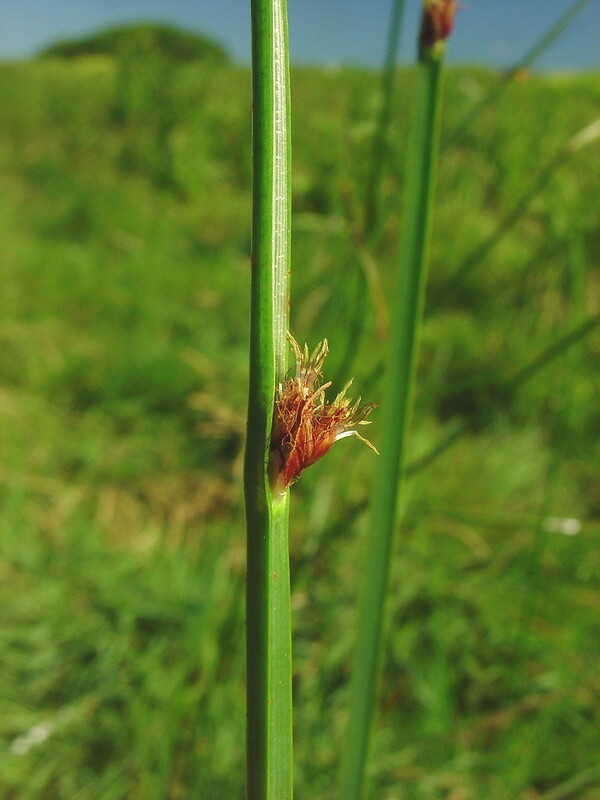 There are three varieties of three-square bulrush in North America, but only this one occurs in New England, favoring lake and river shores, fens and marshes. 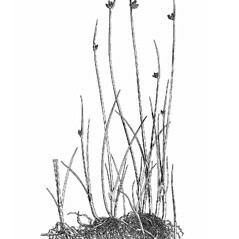 The northern Paiute ground the seeds into flour for cooking. 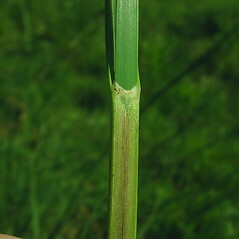 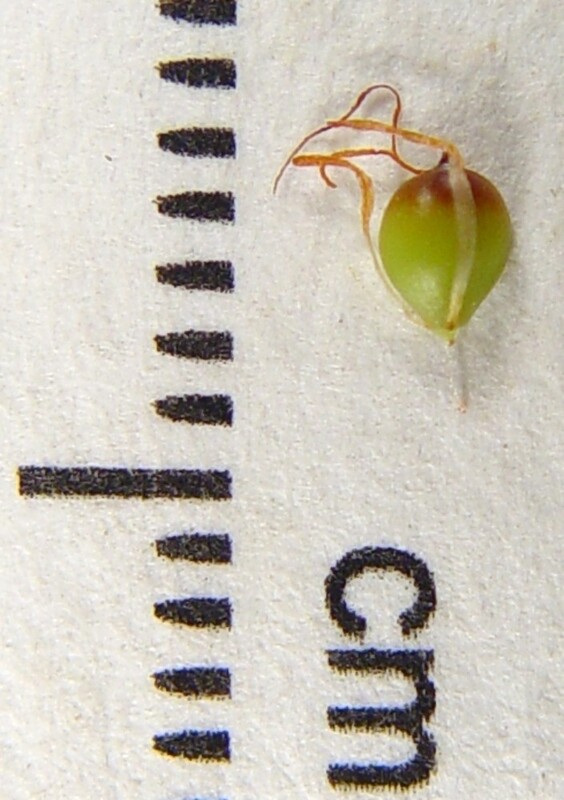 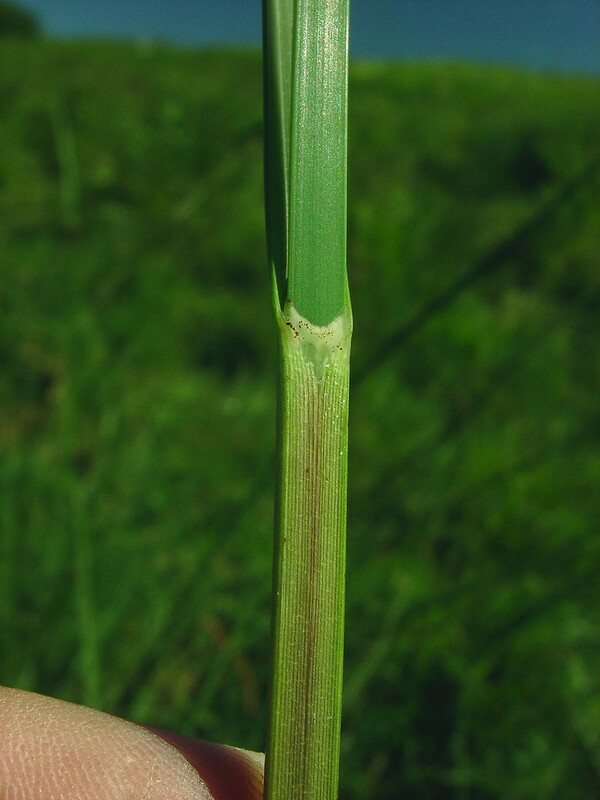 uppermost leaf with a short blade that is shorter than its associated sheath and stems with conspicuosly concave sides (vs. S. pungens, with the uppermost leaf with a well developed blade that is several times longer than its associated sheath and stems with flat to shallowly concave sides). 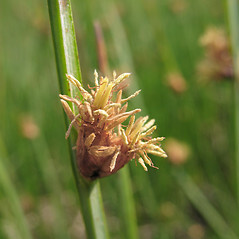 Our variety is Schoenoplectus pungens (Vahl) Palla var. 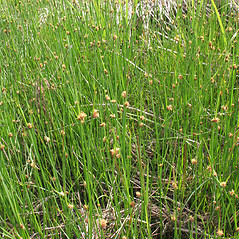 pungens. 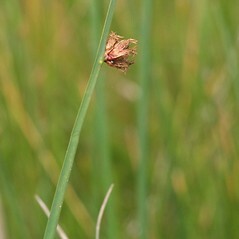 three-square bulrush. 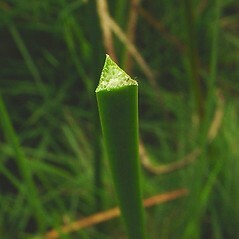 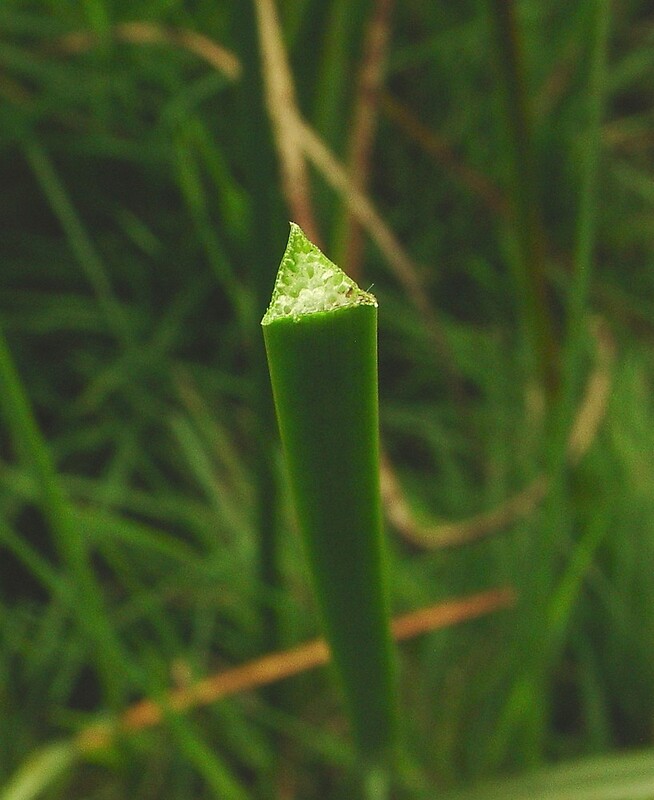 Scirpus pungens Vahl • CT, MA, ME, NH, RI, VT. Lake shores, fresh to brackish river shores, lakeside fens, marshes. 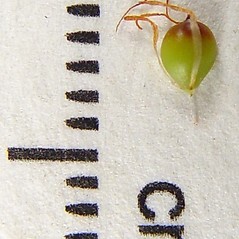 2×6. 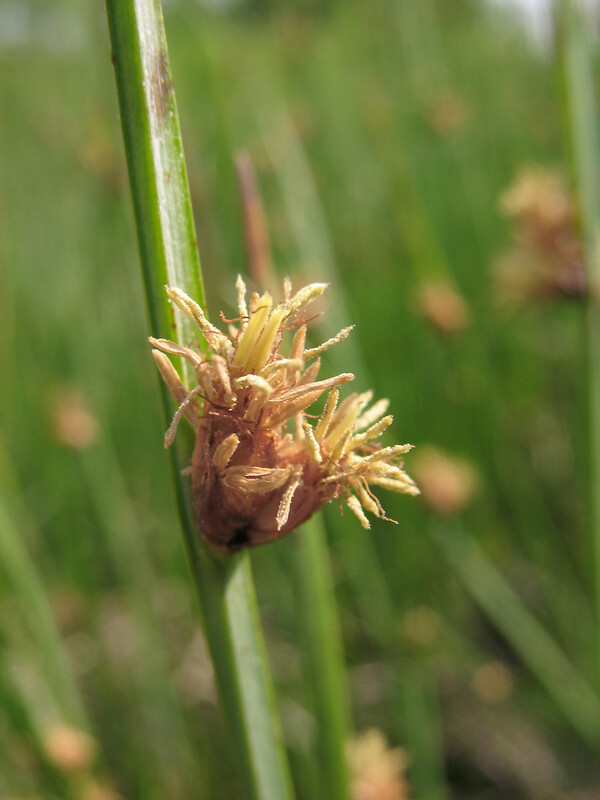 Schoenoplectus americanus × Schoenoplectus pungens → Schoenoplectus ×‌contortus (Eames) S.G. Sm. 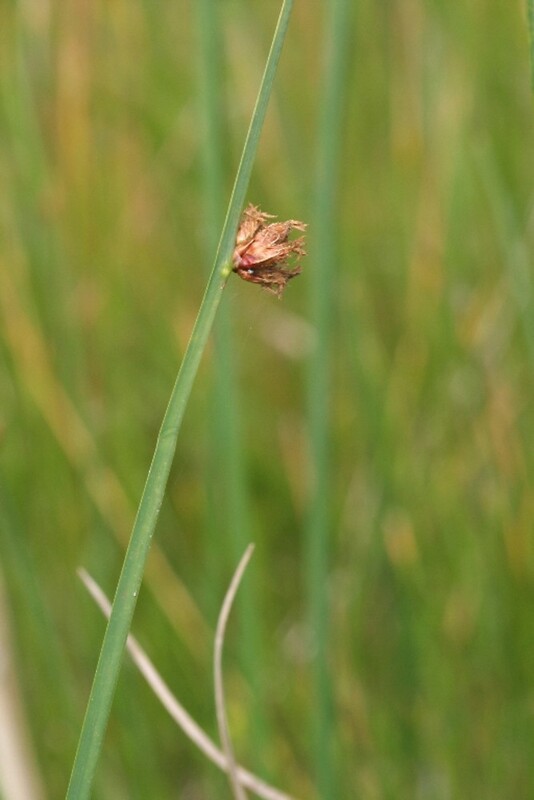 is a rare hybrid in New England, and one that has been tentatively identified for some states where one of the parents ( S. americanus) has not been documented (e.g., ME, VT). 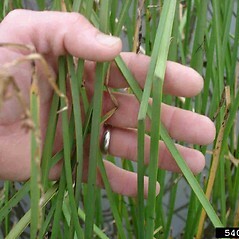 The hybrid is morphologically intermediate between the parents.